The Arbour Room at Rutherford House used to offer full service afternoon tea until it closed down in early May due to financial difficulties and the chef's unexpected resignation. I'm quite saddened by this news and really hope that the restaurant will reopen its doors soon. 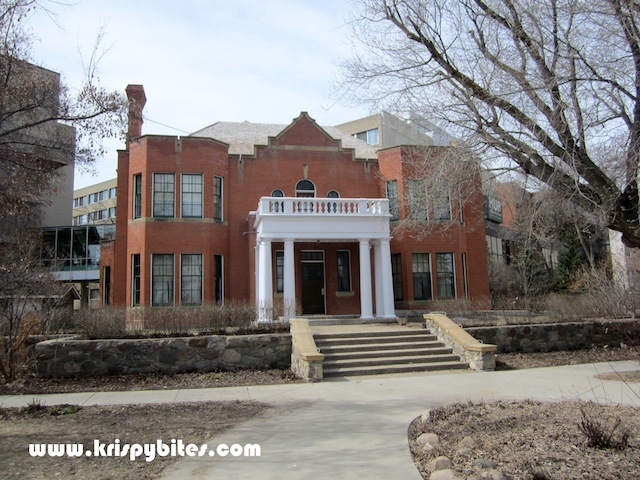 But Rutherford House is still open to visitors interested in seeing the hundred-year-old historic museum that was once the home of Alberta's first premier — Alexander Cameron Rutherford. Seating in the restaurant was very limited, so there was no hope of getting a table on weekends without a reservation. The place was small and slightly cramped, but the environment was cozy, intimate, and positively quaint and charming. The teapot and teacups were all different patterns, but the mix and match added to the charm. Tea was not included in the price; it was $3 for one person and $5 for two. 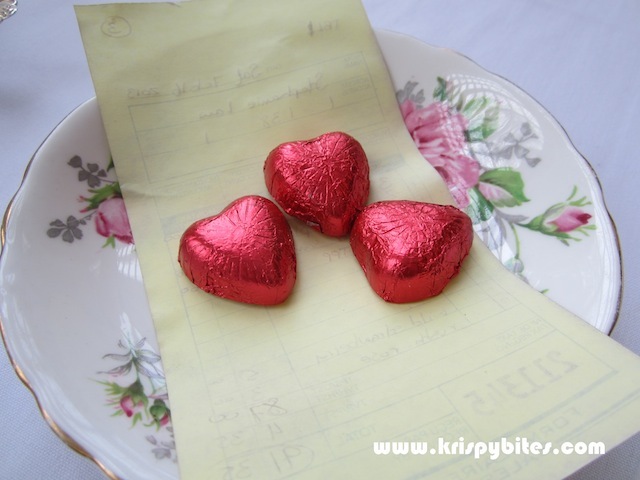 My favourite was the wild strawberry — a light and fruity black tea with sweet notes of strawberry. 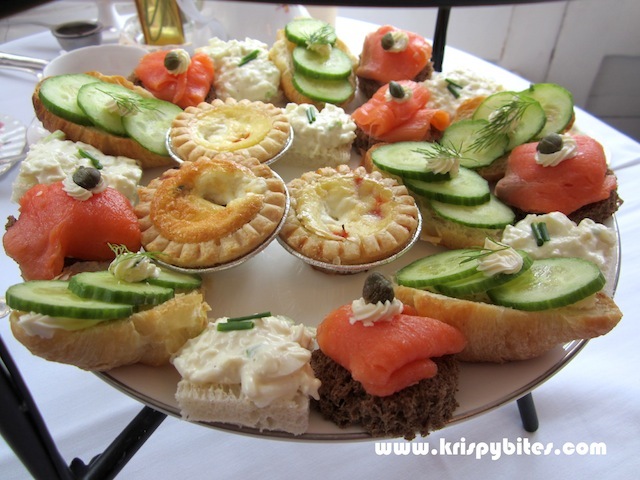 Afternoon tea was sold by plates and not as a full package. 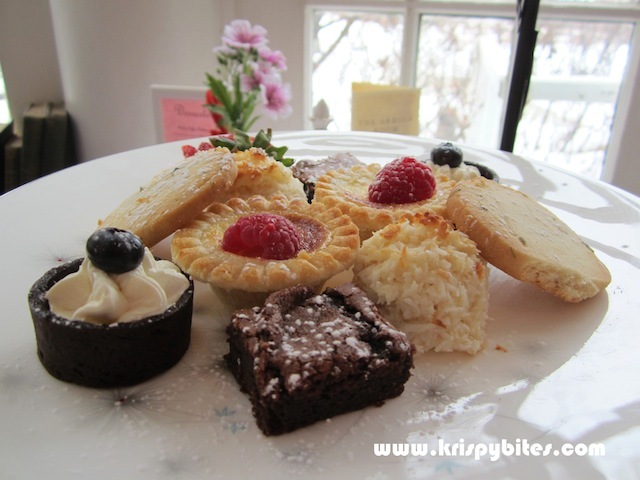 Customers could choose the plates they liked or have it all: scone plate ($6), dessert plate ($8), finger sandwich plate ($10), and mini turkey pot pie plate ($5). 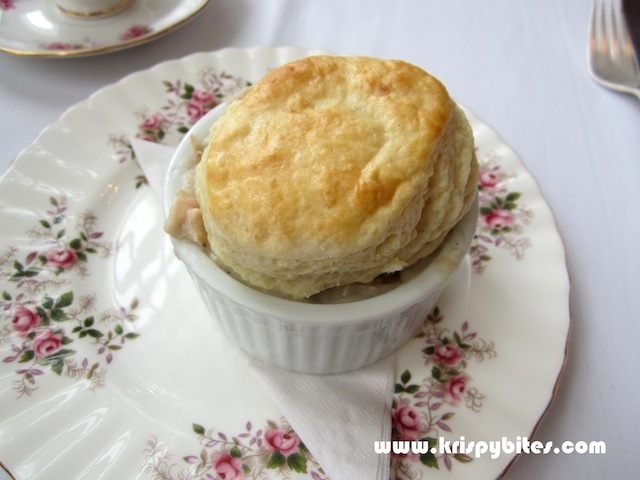 The pot pie was much larger than expected with a full-sized buttermilk biscuit on top. The filling was a warm and comforting stew of turkey, potatoes and mushroom. 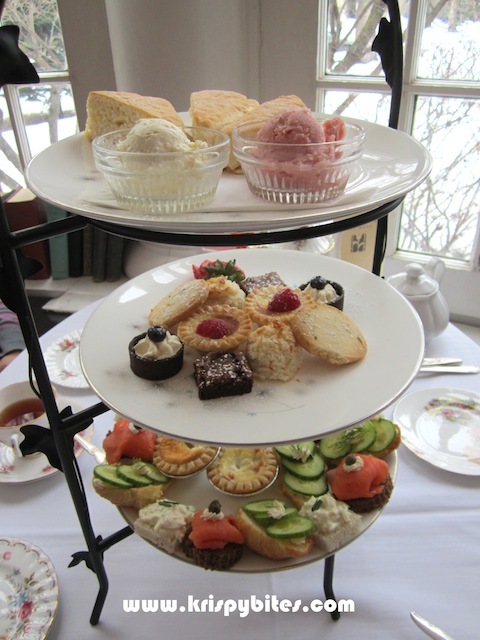 The scones, desserts and finger sandwiches came together on a three-tiered tower. I didn't expect the pot pie to come with a buttermilk biscuit, so I was kind of regretting getting the scone since I thought the two were the same thing. But these warm and fluffy triangular slices turned out to be the most unique and tasty scones I've ever had. The texture was slightly spongy; it was a cross between a bread and a cake. 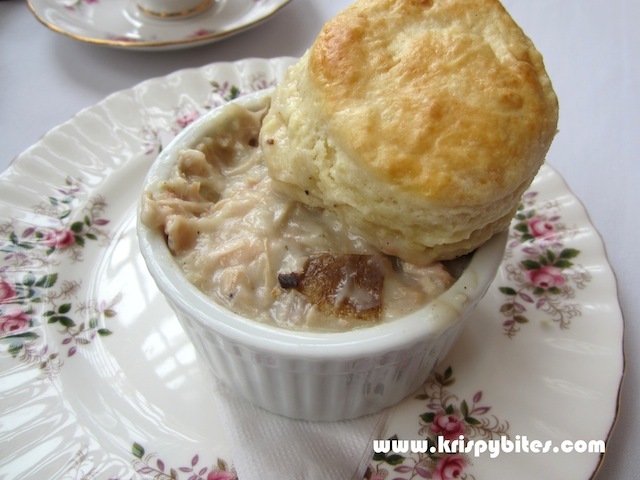 The rich aroma of flour was perfect with creamy raspberry butter. 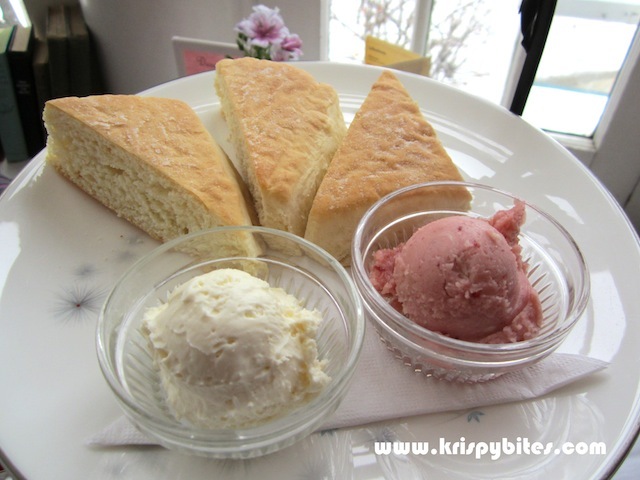 Rutherford House cream was also available, but the raspberry butter was definitely the highlight. The savoury plate was decent and everything was on par with my expectations. Nothing stood out in particular, but the plate as a whole was very much enjoyable. I thought the dessert plate was quite weak. The brownie was the only item I really enjoyed. The lavender cookie was alright, but there wasn't much flavour. I could barely taste the lavender, and the cookie itself was bland and not very buttery. The custard tart pastry was soggy and crumbled to bits as I tried to pick it up. The chocolate cup was tasteless, and the macaroon was below average as well. Needless to say, I skipped the desserts on my subsequent visit. After settling the bill, customers could either take a tour around the house (for a fee) or browse the gift shop downstairs. 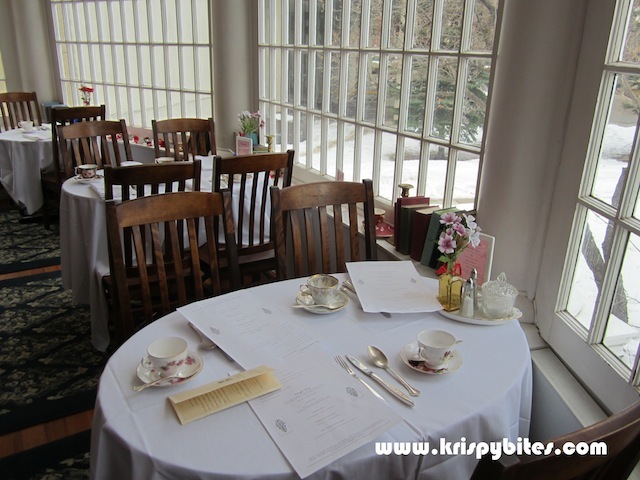 I came back for a second visit just before the Arbour Room closed down, and that time I only ordered the finger sandwich plate and the scone plate with tea. I really enjoyed having that as a light lunch in such a lovely historic setting. Hopefully everything gets sorted out soon because I can't wait to see the place reopen its doors. 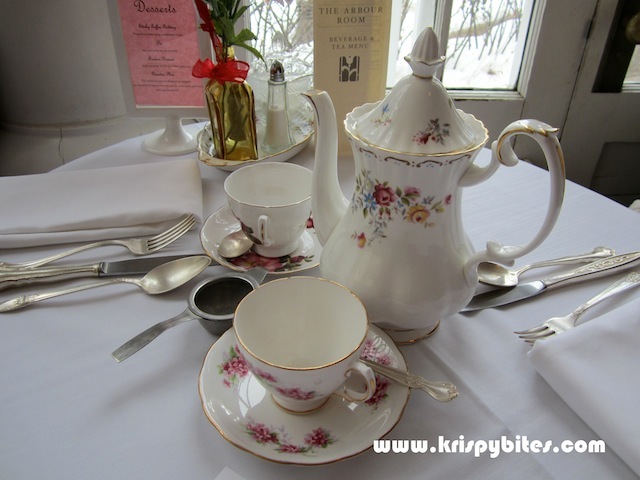 There aren't a lot of high tea venues in Edmonton, and I sure hope we don't lose this one.